__ 1 1/2" diam., 5 1/2" long. It's amazing how easily this floppy tube peels a clove of garlic. Simply insert whole unpeeled cloves, press down firmly, and briskly roll back and forth for a few seconds, until you hear the peel snap. Quickly peels whole garlic cloves. Peeled cloves roll right out. Skins inside rinse away. Dishwasher safe. on the Garlic For sale page! ____Crush, peel and mince with no mess. 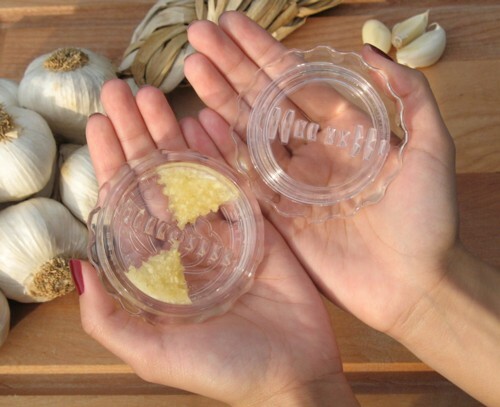 Love fresh garlic but dislike the chore of mincing it? Try this innovative kitchen tool. The Garlic Twist is a new type of kitchen garlic tool designed to replace the common garlic press. Unlike a garlic press, the Garlic Twist has a set of tough, cross-cutting teeth to neatly and perfectly mince 2-4 cloves of garlic to your desired texture. then simply twist it back-and-forth until the desired texture of minced garlic is reached. It even gathers the garlic bits neatly with no waste. 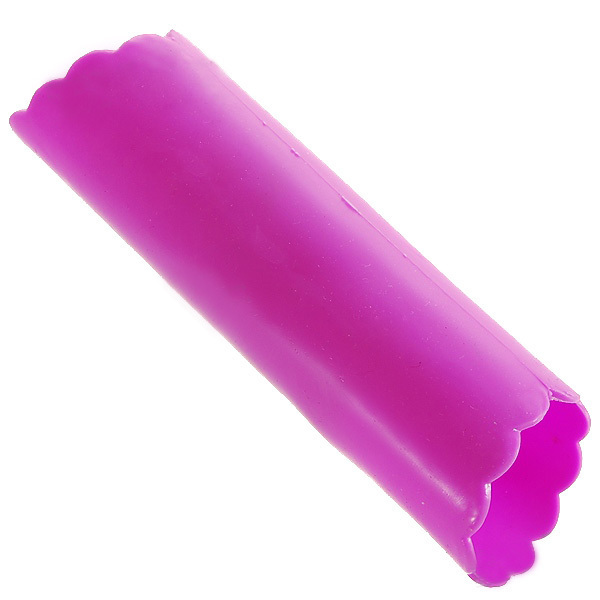 Unlike most garlic tools, the Garlic Twist is very easy to clean after use, just rinse or place in the dishwasher. Also minces sliced ginger, jalapeno peppers or small quantities of onion. on the Garlic For Sale page. 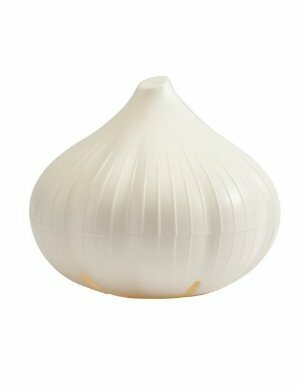 _The ideal way to store garlic. Keeps a garlic bulb fresh for weeks. Two sides attach by twist lock. Dishwasher safe. height: 3.3", diameter: 3.7"
by Hutzler Manufacturaing Co, Inc. The Amazing Stainless Steal Soap. 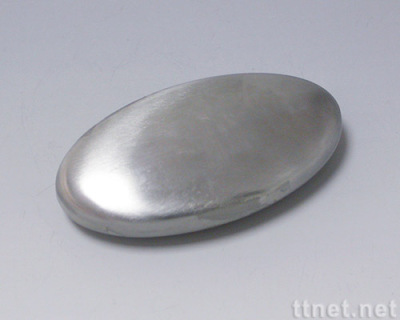 _This incredible stainless steel soap-shaped bar is even better than the real thing at removing odors. It's great in the kitchen - just rub the stainless steel "soap" in your hands under cold water, simple chemistry eliminates odors as you "wash" your hands with water using the bar as "soap." Even better, it never wears out, and no additional cleaning is necessary.